A founder of, and now Of Counsel to the firm, Mr. Marnen has been practicing law since 1972 and, since 1976, he has concentrated exclusively on civil litigation, primarily with respect to commercial matters, product liability, professional liability, and civil rights. His peer review rating in the Martindale Hubbell Law Directory is AV, the highest possible, and he is an elected fellow in the American College of Trial Lawyers. Moreover, he is an elected member of the International Association of Defense Counsel, an elected fellow in the Litigation Counsel of America, and he has been recognized by Philadelphia Magazine as a Pennsylvania Super Lawyer. Mr. Marnen was honorably discharged from the United States Army in 1970 with the rank of sergeant after a tour of duty in the Vietnam War that included service as a rifleman in the First Infantry Division. He graduated from The Pennsylvania State University in 1967 with a Bachelor of Science in Finance and in 1972 from the University of Pittsburgh School of Law with a Juris Doctor degree. He is admitted to practice before the Pennsylvania Supreme Court, the United States Court of Appeals for the Third Circuit, and the United States District Courts for the Western and Middle Districts of Pennsylvania. He regularly handles litigation matters in the state and federal trial courts of Western Pennsylvania and in the federal and state appellate courts sitting in Pennsylvania. Mr. Marnen has been a hearing committee member of the Disciplinary Board of the Supreme Court of Pennsylvania, the chairperson of the board of directors of Northwest Legal Services, a member of the executive committee of the Erie County Bar Association, and a trustee of the Erie County Bar Foundation. 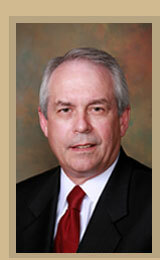 Mr. Marnen is a member of the Pennsylvania and Erie County Bar Associations. He is a master in The Northwest Pennsylvania American Inn of Court and a member of the College of Master Advocates and Barristers, the Defense Research Institute, and the Pennsylvania Defense Institute. He has been a speaker at seminars sponsored by the Pennsylvania Bar Institute and the Erie County Bar Association.